But, even with the crazy life I lead, good food is always a priority, haha! If that's not true for you then it should be haha! 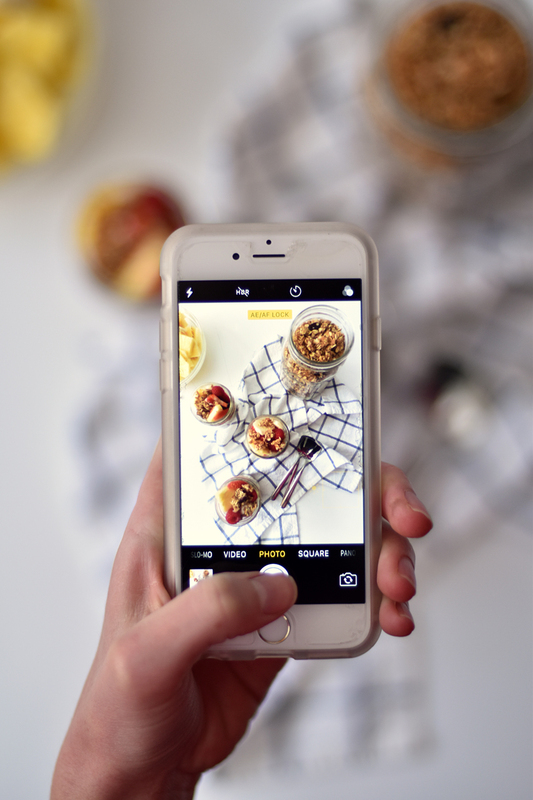 We made this granola the other week and it disappeared in the blink of an eye, not to mention it also made the house smell amazing! 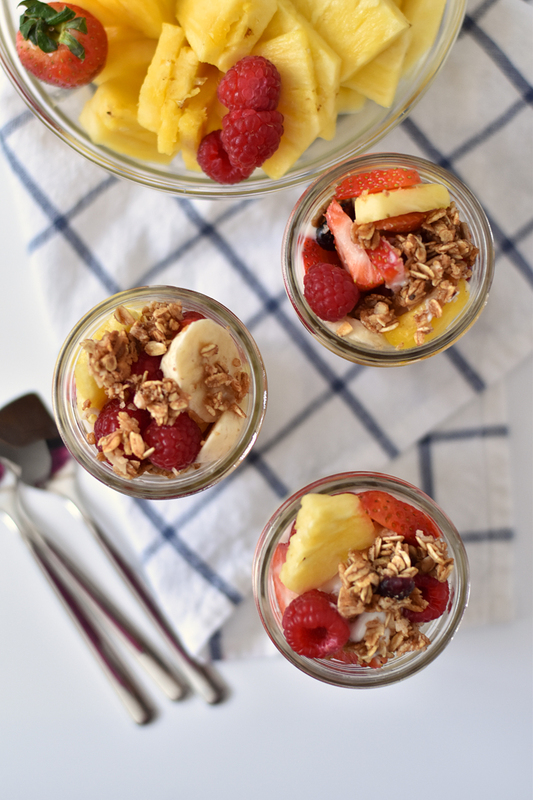 It was perfect to throw on these fruit parfaits or add to our cereal in the morning. 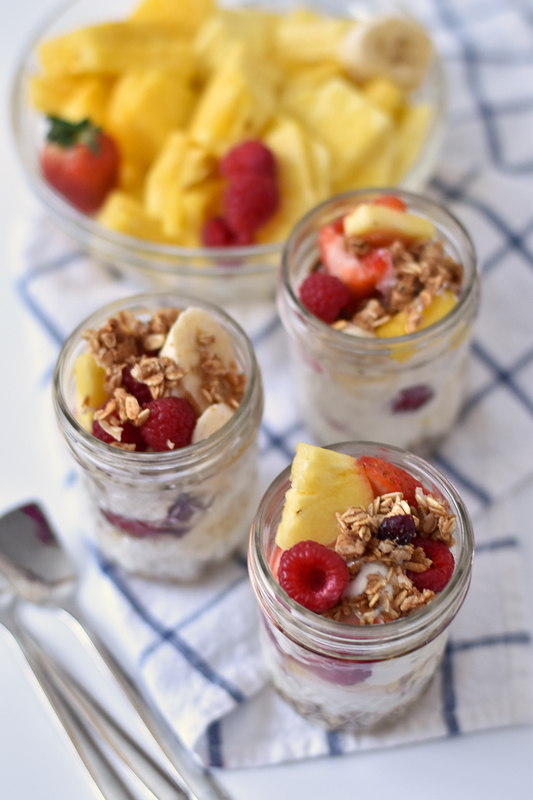 I didn't post a recipe for the actual fruit parfaits... because I kinda just made it up. 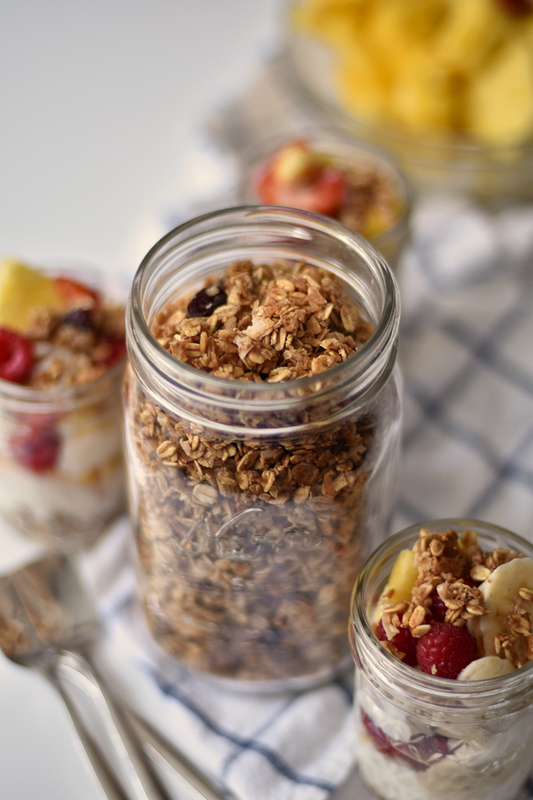 After you finish making the granola, let it cool for a second. 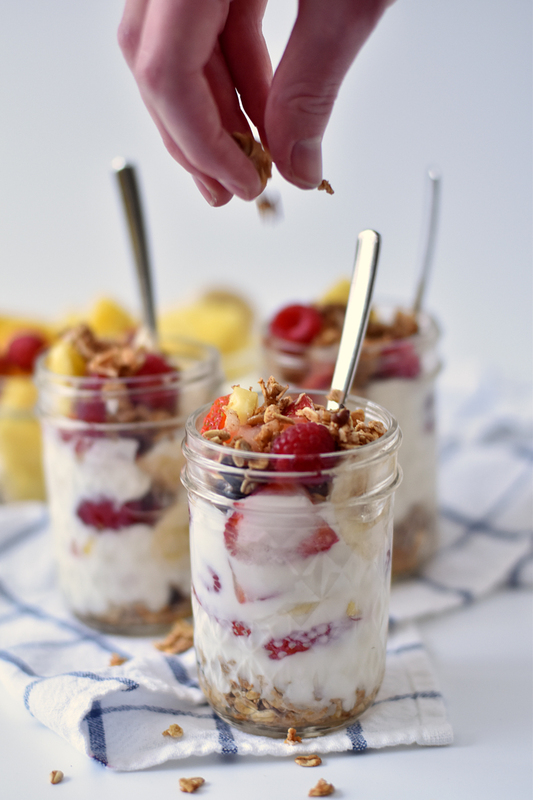 Then just make layers of granola, yogurt, and fruit in your favorite cup or jar. It's pretty hard to mess up so I'm sure you can do it! Enjoy! 2) Mix all ingredients together in a large bowl. 3) Spread evenly on a large baking sheet lined with parchment paper. 4) Bake for 35-45 minutes (stirring once or twice throughout cooking time). 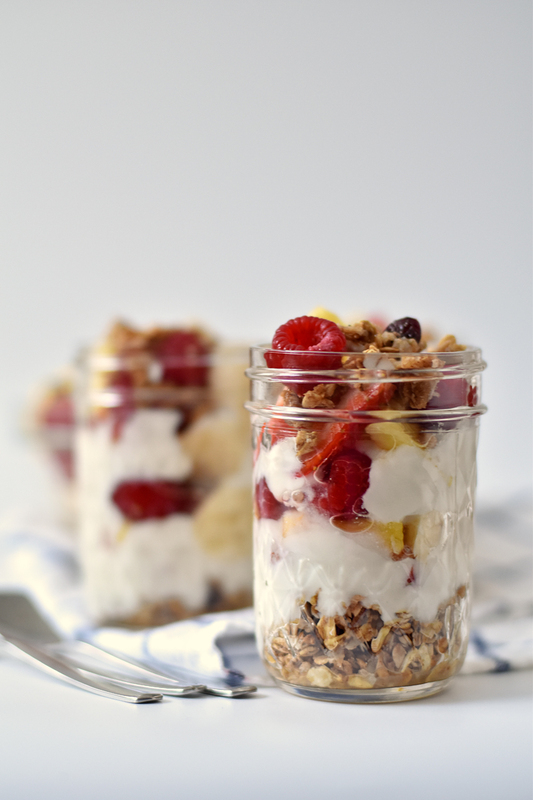 5) Allow to cool completely on tray, store in airtight jars or containers. Enjoy! Really! Cant believe that Now even innovated food is available.As a big fan of Both Innovation and food,I will surely try this new dish with the given recipe, Well done,Keep it up.